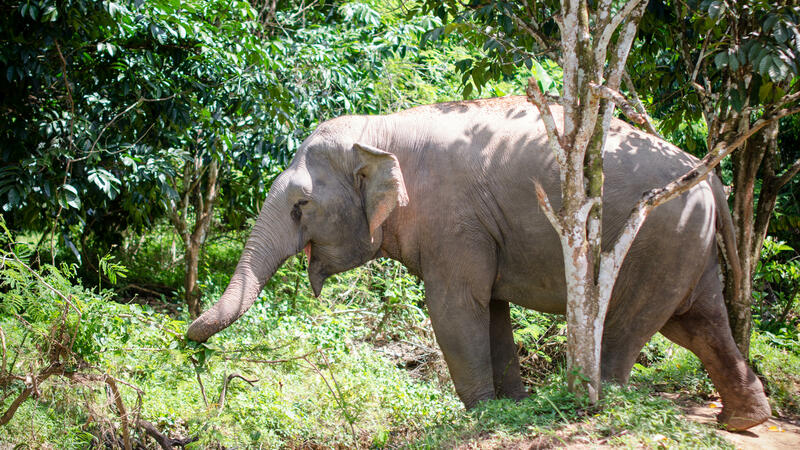 A 36-year-old cheerful, playful & energetic girl who loves to eat and is friendly to everyone who gives her food. 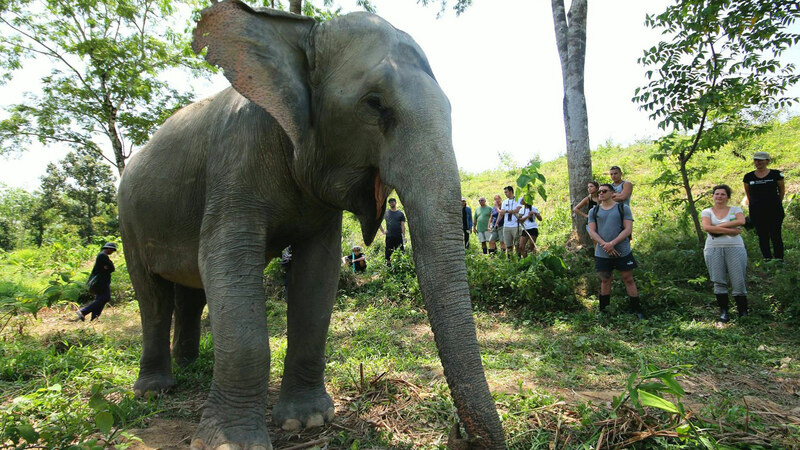 You will always see Kannika together with her best friend Madee. 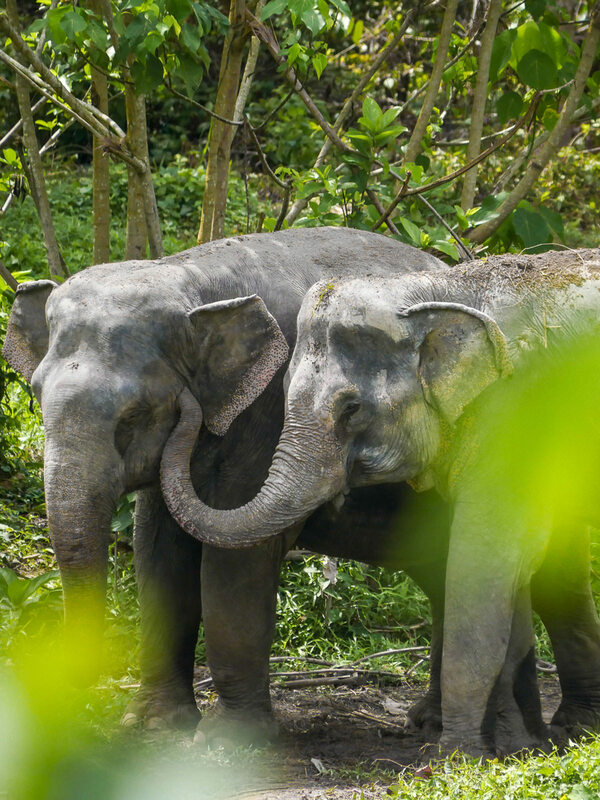 They both arrived at Phuket Elephant Sanctuary on August 30, 2016, and have been inseparable ever since. 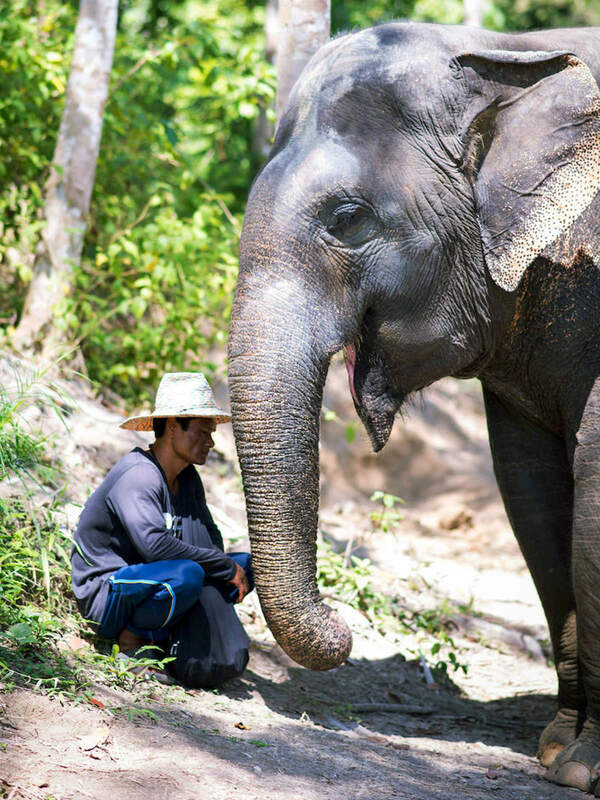 Originally from the Surin province, Kannika spent most of her younger years having to entertain tourists in Phuket hotels. 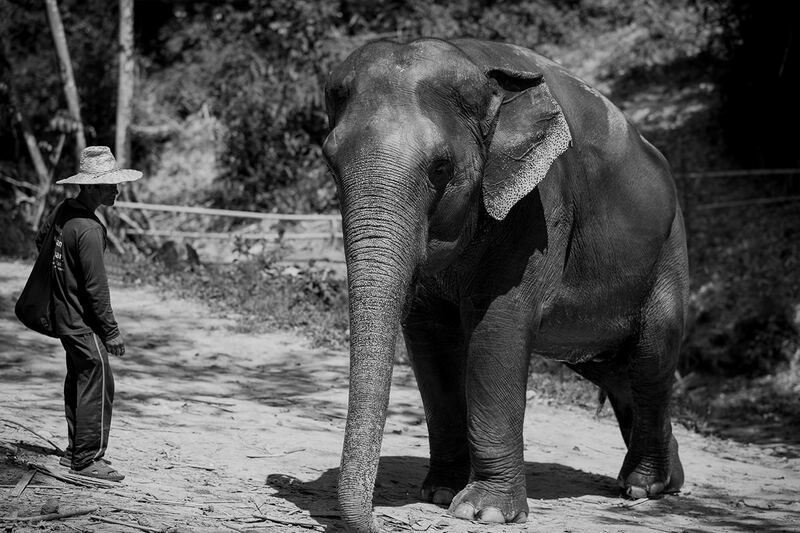 In 2007, she was sold to Mr. Montri, who previously owned a camp where Kannika was a riding elephant for tourists. 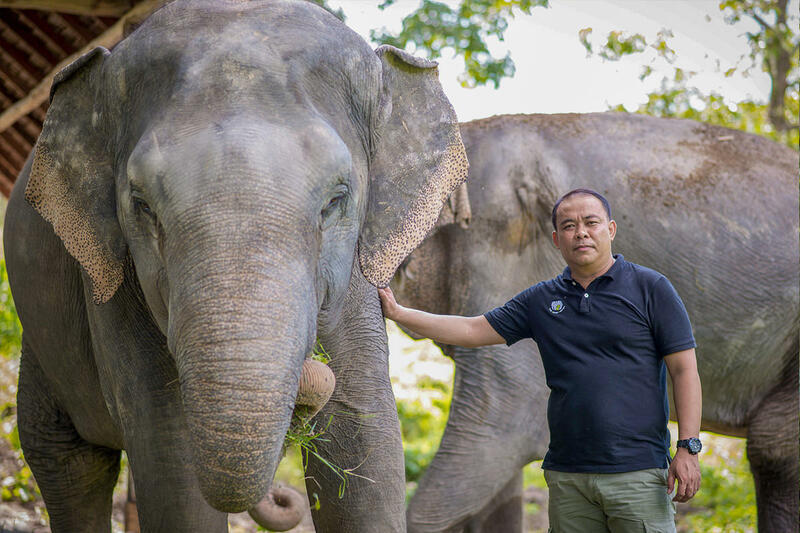 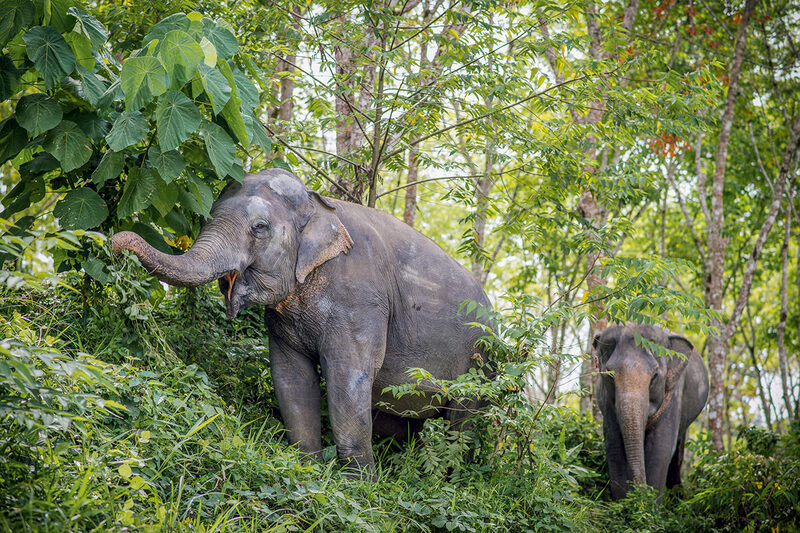 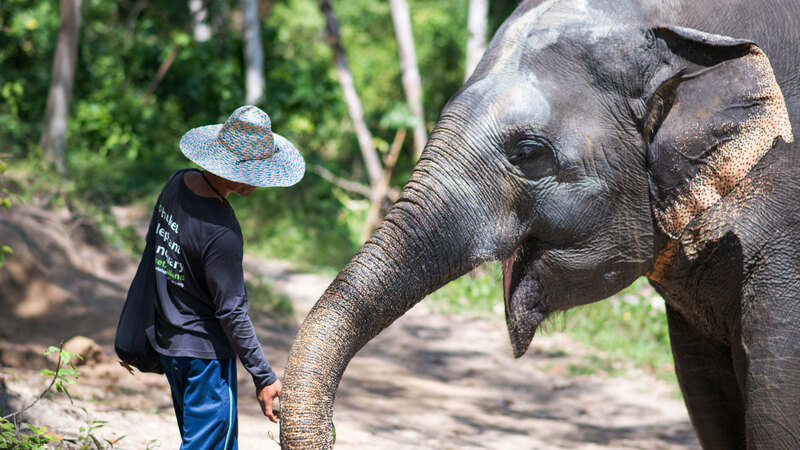 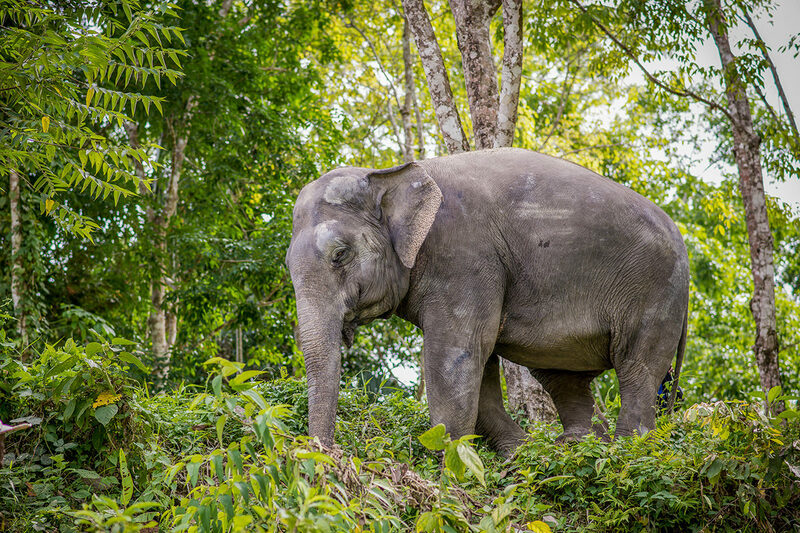 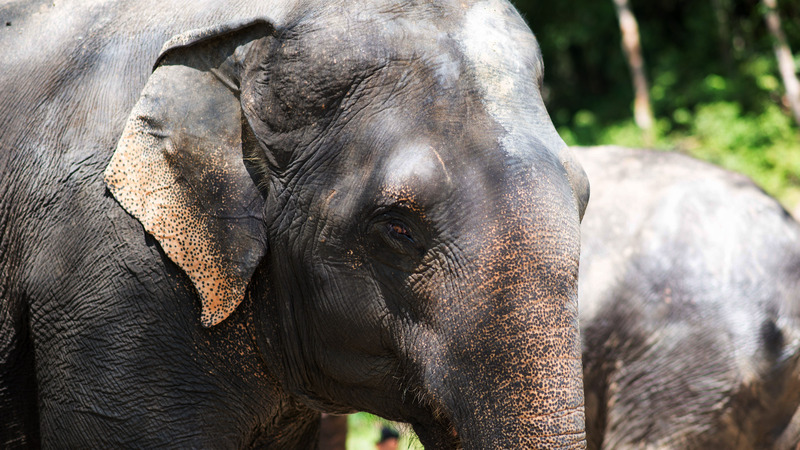 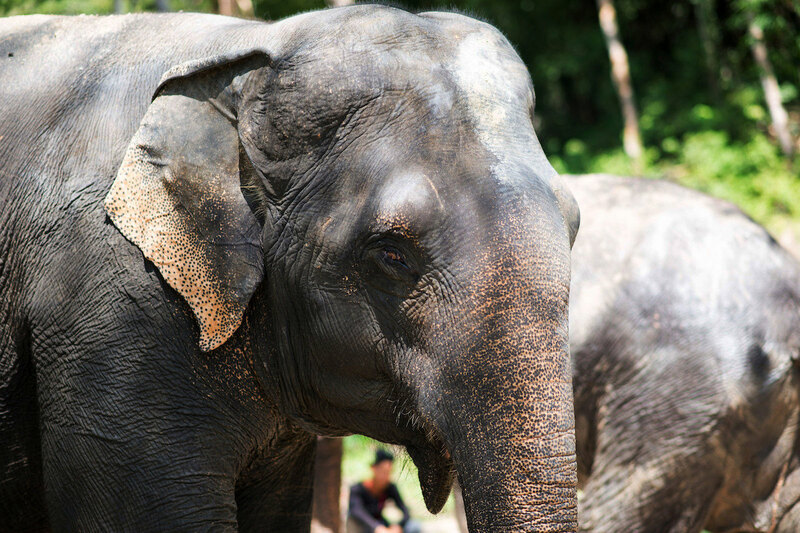 Once Mr. Montri openend Phuket Elephant Sanctuary, Kannika was one of the first two elephants to call it her new and final home. 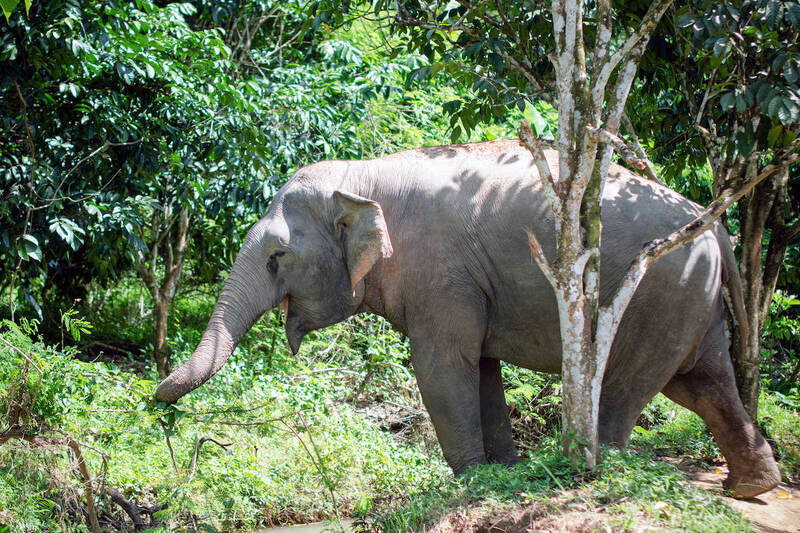 She only took a few days to adjust to her new environment, surrounded by rich forests and watering holes. 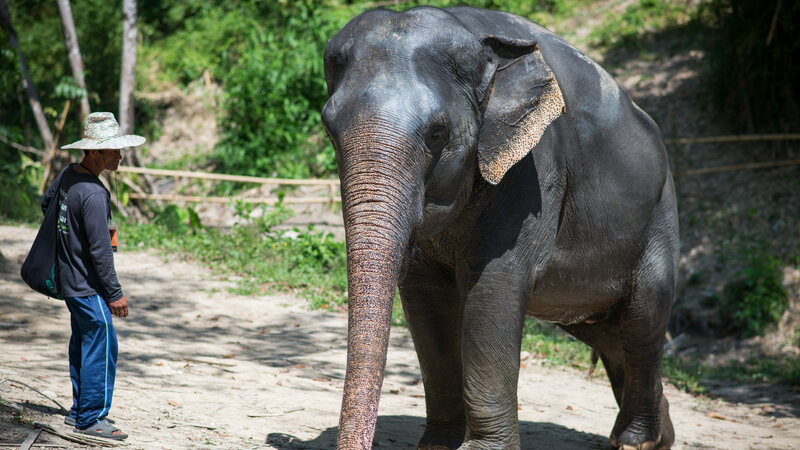 Our natural playground allows her to express her naughty character by playing with bamboo, splashing in the water and crying out in joy. 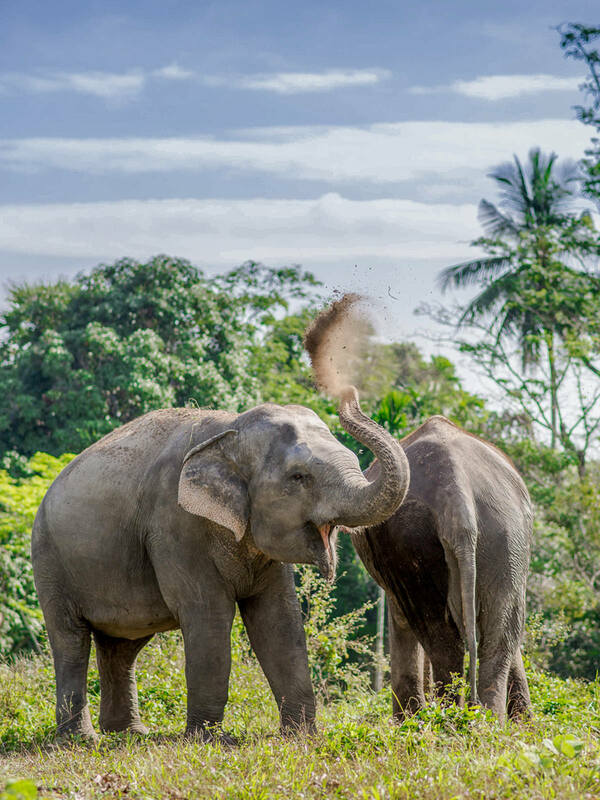 She surely seems like the happiest elephant at the sanctuary and has put a smile on many of our guests through her funny behaviour. 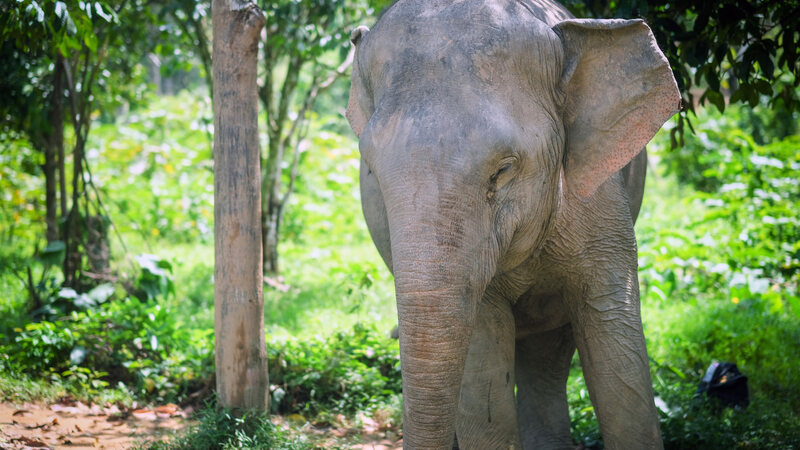 Kannika embodies our vision of a happy, final home for retired elephants, and we hope that many more gentle giants will find the happiness that she found here.